When we're not busy developing and running programs, we work hard to keep our community of alumni, mentors, and ambassadors connected. From special event invitations and exclusive opportunities to media buzz, our ambiSHEous network is in-the-know! March 8, 2019 - In the Spring issue of Capital Magazine, published by the Ottawa Board of Trade, ambiSHEous is recognized alongside six national capital region organizations for “empowering the next generation of women leaders.” Read the story here and on page 46 of the print edition! March 20, 2019 - As part of International Women's Month, ambiSHEous held its biggest workshop yet, in partnership with Startup Canada, Telfer School of Management and Junior Achievement Ottawa. 80 girls from across Eastern Ontario & Quebec joined us - they had just 1 hour to brainstorm how they would turn a problem into a big idea solution. They rose to the challenge & pitched their #ambiSHEous ideas to the room, which included 10+ powerful women mentors from private sector and government. March 30, 2019 - ambiSHEous partnered with WISE Ottawa to lead a special Mentor STEM Leaders Follow the Money Workshop. As the workshop facilitator, ambiSHEous founder Katharine Cornfield shared finance fundamentals that empower women to embrace opportunities, increase influence, and create real impact. January 21, 2019 - In a guest blog post for CareerWise, ambiSHEous founder Katharine Cornfield shares how parents, educators and mentors can make entrepreneurship and its lessons relatable to girls in their everyday lives. Read the post here. November 27, 2018 - In a guest blog post for CareerWise, ambiSHEous founder Katharine Cornfield writes that offering girls empathy as beginner adults and empowering them with real-world experience puts them on the path to independence. Read the post here. October 18, 2018 - As a featured speaker at DisruptHR, ambiSHEous founder Katharine Cornfield shared how and why we need to give girls a strong runway to live, learn and experience early, to prepare them for future boardrooms and decision-making tables. October 17, 2018 - Katharine Cornfield, founder of ambiSHEous joined the Sixth Estate for their Capitalism with a Cause segment during Small Business Week. Katharine shared how today's girls are the social entrepreneurship leaders of tomorrow. Watch the segment here. August 14, 2018 - The Haliburton County Echo, shared registration information for a local StartUpSelf session scheduled to take place at the Haliburton Dance Academy August. 21-22. Read the article here. August 8, 2018 - CTV Sudbury reported on the ambiSHEous StartUp Self experience by interviewing founder Katharine Cornfield, local Sudbury mentors and participants. Watch the segment here. May 15, 2018 - ambiSHEous™ founder Katharine Cornfield was interviewed by KiSS 105.3 radio host Nick Liard about the summer 2018 Start Up Self Session scheduled for August 6-8 in Sudbury. The session, sponsored by Sudbury start-up Unboxed Health and hosted by the Greater Sudbury Public Library is at maximum capacity for the second summer in a row. May 13, 2018 - A story covering our October ambiSHEous™ Cairo event was published by Global Affairs Canada on their Eyes Abroad newsfeed. 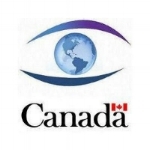 This publication coincided with announcement of a new multi-sector investment fund to improve gender equality around the world, starting with a $300M contribution from the government of Canada. ambiSHEous™ founder Katharine Cornfield was an invited guest at this ground-breaking event. January 22, 2018- ambiSHEous™ founder Katharine Cornfield shared the insights gained from nearly 3 years of ambiSHEous™ programming with presented to an audience of educators, counsellors, and workforce development professionals. Her key message? When it comes to supporting girls on the path towards independence - adult agendas don't resonate. Instead, girls need mentors who meet them where they are - and nurture their ambition. October 17, 2017 - In collaboration with the Canadian Embassy of Egypt, to mark this year's International Day of the Girl, ambiSHEous™ founder Katharine Cornfield travelled to Cairo, Egypt to deliver our flagship #StartupSelf workshop to a group of emerging young female leaders. While onsite, Katharine was interviewed through an interpreter by Dina Al Maraghi, a reporter for Al-Ahram, Egypt's second oldest and most widely circulated daily newspaper. The article and photos are here. 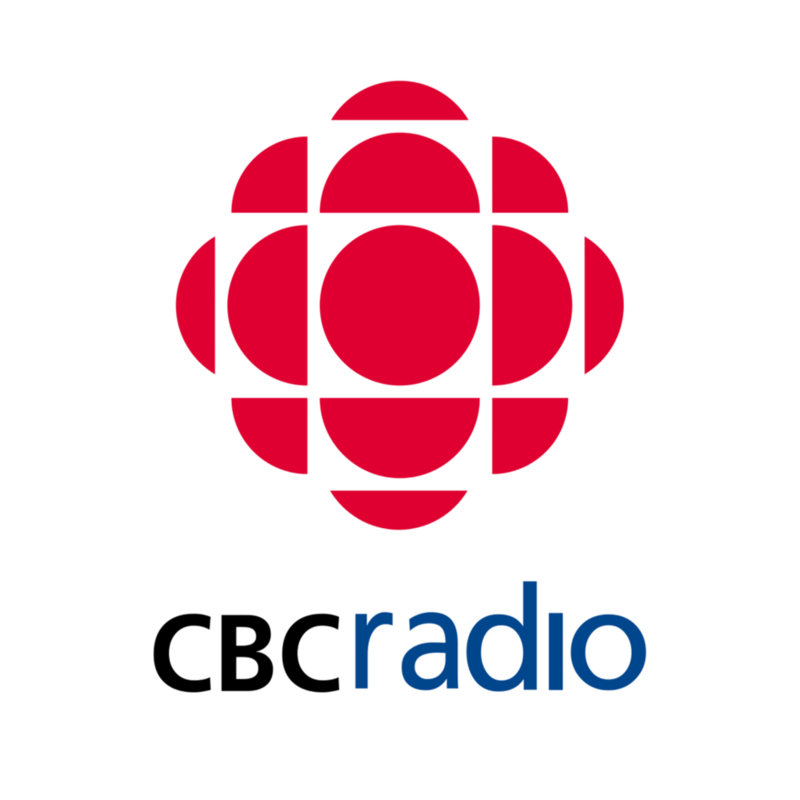 August 9, 2017 - CBC Radio Morning North stopped by on the first day of our summer session in Sudbury to talk to ambiSHEous™ founder Katharine Cornfield and to interview three participants. These brave girls stepped forward to use their voice, describe the program from their perspective and share their bold goals. Listen to the segment here! 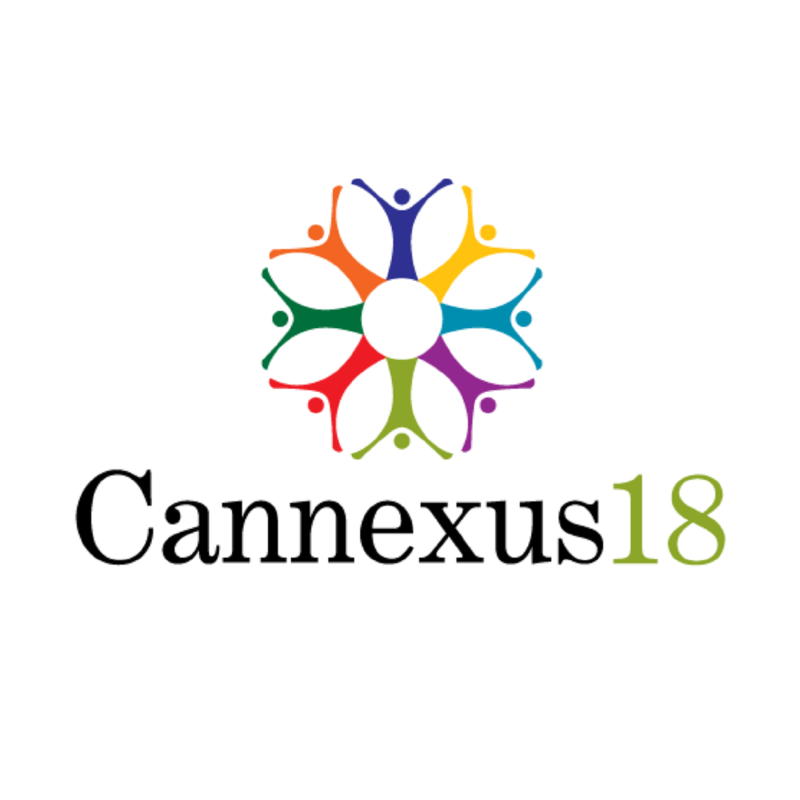 July 10, 2017 - ambiSHEous™ founder Katharine Cornfield has been selected to speak at Cannexus 2018, Canada's largest career development conference with more than 1,000 career development professionals from across Canada and around the world. Katharine will make her presentation entitled "Independence, Influence & Impact: Leveraging Girls’ Ambition Early " January 22, 2018. Details here. 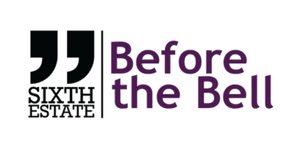 May 25, 2017 - After learning about recruitment efforts underway to fill our Sudbury summer session, CBC Radio Morning North invited sponsor Samantha Baulch of healthcare startup Unboxed Health to talk about the origins of the program, the workshop approach, and why she wanted to bring it to Sudbury. Listen to the full interview here. ambisheous interview on CKCU FM's "buy some good"
June 20, 2017 - ambiSHEous™ founder Katharine Cornfield was invited to join Tina Crouse, host of CKCU FM's BuySomeGood a community radio show exploring impact investing and social enterprise development in Ottawa and across Canada. Listen in to learn more about why we're focused on middle school girls and the unique challenges of early stage social venture start-up. March 28, 2017 - ambiSHEous™ founder Katharine Cornfield was an invited panelist in a discussion following the screening of "She Started It", a feature-length documentary film chronicling the challenges and successes of young female technology entrepreneurs. Shot on location in Silicon Vlley, NYC, Mississippi, Europe and Vitenam the film offered an intimate, behind-the-scenes look at what takes. Presented by CU-WISE & WISE Ottawa, the screening and discussion was also an opportunity for members and alumni of their ground breaking Mentor STEM Leaders program to meet and mingle. March 8, 2017 - After a year of developing and sharing the word about ambiSHEous™, we've learned lots about what other kinds of programs and resources are available to girls. While we're focused on leadership through financial literacy, entrepreneurship, and civic engagement. there are many different ways to empower girls. To make it easy, we've gathered them all into one place, pinpointed the age range, and identified the program focus. If there are any programs or resources we're missing, just send us a note and we'll add to our growing list. November 1, 2016 - Ottawa-based film producer and ambiSHEous mentor Komal Minhas invited alumni, supporters and ambassadors to a special screening of Dream, Girl at the Mayfair Theatre. Dream, Girl showcases the stories of inspiring and ambitious female entrepreneurs. The film was followed by a Q&A session with Komal, Film Director Erin Bagwell, and Sophie-Gregoire Trudeau. October 11, 2016 - International Day of the Girl has been declared by the United Nations as a day to raise awareness of the gender inequality faced by girls worldwide. ambiSHEous™ founder Katharine Cornfield was invited to discuss girls leadership and empowerment live on afternoon radio with Carol Anne Meehan of 1310 News. Katharine's full interview starts at 21:02 and runs 10 minutes. October 1, 2016 - ambiSHEous was nominated for an inaugural Ottawa Social Impact Award. Based on votes from the community, the top 5 nominees in each category were reviewed by an independent panel of judges, and winners were announced in early November. There are some amazing initiatives underway in Ottawa, and we're thrilled to be included in such great company! September 30, 2016 - ambiSHEous™ alumni were invited by Kind Village, a local startup focused on socially responsible business/social enterprise, to participate as volunteers at the "One Young City" breakout panel at the One Young World Summit. Ottawa welcomed 1,300 delegates aged 18 to 30 from over 196 countries to debate, formulate and share innovative solutions to the pressing issues the world faces. September 21, 2016 - ambiSHEous™ founder Katharine Cornfield was invited to participate on The Breakfast Startup's panel entitled "Cracking the Code: Positioning & Messaging for Your Organization". The Breakfast Startup is a forum for entrepreneurs and community leaders seeking to share knowledge and experiences. Katharine spoke about why it's important to reach and engage middle school girls. May 23, 2016 - Just following our StartUp Self weekend at Care Canada in May, ambiSHEous was featured in renowned Ottawa blog Apt613. The piece focused on the benefits of developing an entrepreneurial skill set, particularly as the freelance economy evolves. March 8, 2016 - In conjunction with International Day of Women 2016, ambiSHEous™ founder Katharine Cornfield was invited to participate as a mentor in StartUp Canada's Mentor MashUp Event designed to provide startup entrepreneurs access to advise, guidance and support as they endeavour to turn their business ideas into reality. January 30, 2016 - ambiSHEous celebrated the launch of our website and 2016 program schedule at Bridgehead on Preston. Our ambiSHEous community was treated to a tour of the Roastery after Bridgehead President & CEO Tracey Clark inspired everyone by candidly sharing her entrepreneurial story with the crowd. Thanks to Bridgehead for your generous support!